Just a 20-minute drive from The Inn On First, a romantic Bed and Breakfast inn in Napa, lies Tudal Vineyards. 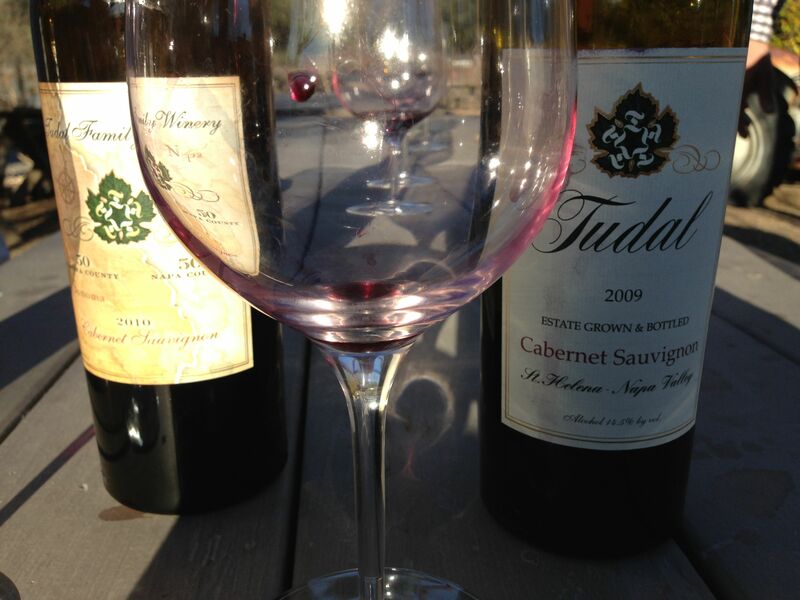 Now into their 5th decade operating the iconic Tudal Winery in St. Helena, Napa Valley, they proudly grow and produce a Signature (and world-class) wine “Tudal Estate Cabernet Sauvignon” on site from the estate vineyard that was planted in 1972. Visitors of any age can find something to explore, whether it is the array of Napa Valley wines; our bocce court, the enticing flower and produce gardens or the collection of historic farm tractors, tools and bygone novelties that make up a fascinating agricultural retrospective. And if they ask if you want to take any produce home during the Summer, just remember that your innkeeper-chef would love it if you wanted to drop something off in his kitchen! Here we learned a bit more about maloactic fermentation. We always associated it with “buttery” Chardonnays, but came to find out that it also adds a fullness or roundness to their Chardonnay. It wasn’t buttery at all but felt fuller on our tongues, and had an aftertaste of warm buttered toast that I really enjoyed. Their Zinfandel was bright with cherry flavor and a hint of pepper. They also produce a Super Tuscan blend of Sangiovese and Cabernet that had hints of caramel and dark red berries. Of course we fell in love with their 100% estate Cabernet that is celebrating its 30 anniversary this year. 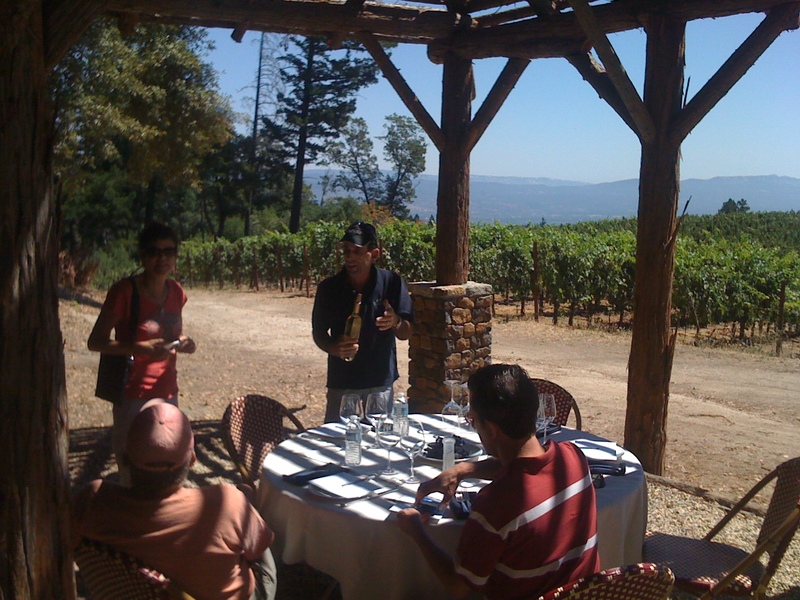 This is a lovely spot to do a tasting and to have a picnic afterward surrounded by their vineyards. Final note: I am not a Rose fan. They run either too dry or too sweet. Suddenly I felt like Goldilocks and found that theirs was “just right” for me. I bought 3 bottles for summer sipping. Can’t wait for that warm weather to hit! Prices range from $25 to $75. Tres Sabores Winery: appointments needed and worth your time. 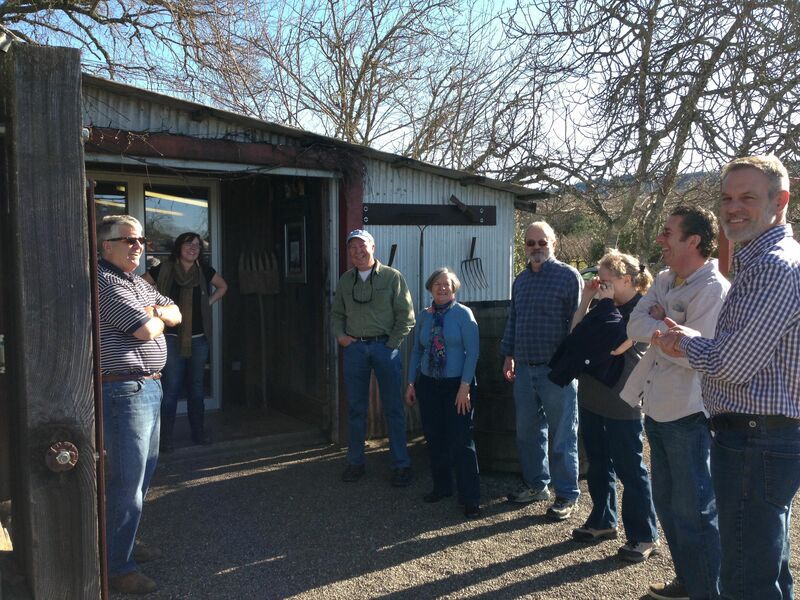 We had been to a hospitality event in the Napa Valley and met Julie Johnson, owner of the Tres Sabores winery. There was an invitation to visit and we finally made it. Tres Sabores is a small, family-owned ranch and is located on the western Rutherford Benchland of California’s Napa Valley, where they grow organically certified Zinfandel, Cabernet, Petite Syrah and Petit Verdot grapes, olives, Meyer lemons and exotic pomegranate cultivars. 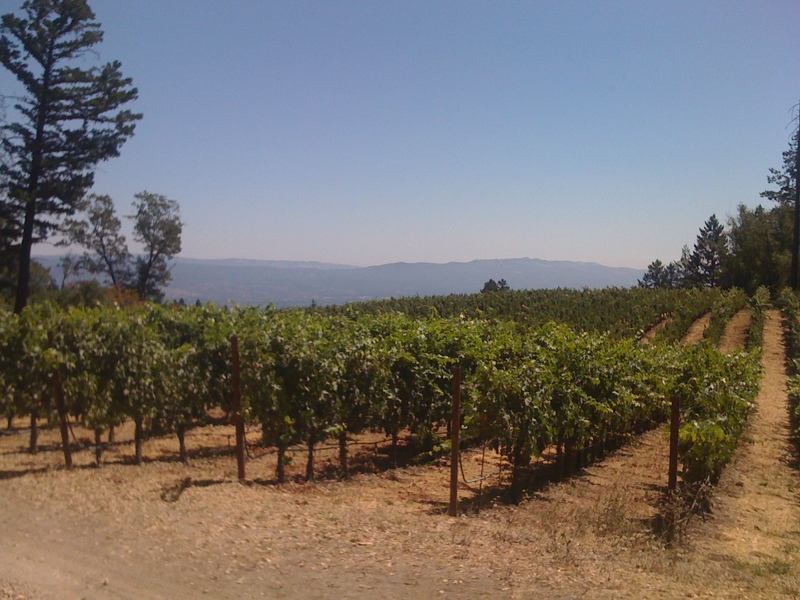 Their single-vineyard wines include Tres Sabores estate Zinfandel, Cabernet Sauvignon and Sauvignon Blanc from the Farina Vineyard of Sonoma Mountain. Tres Sabores means “Three Flavors” in Spanish, and in each of their wines, you’ll find three equally savory, yet distinct tastes: the Terroir, or flavor embodied by the unique location of our ranch; the Vine, or distinct character of the grape variety; and the Artisan, or winemaker’s personal contribution of style and intuition. When appropriately balanced, these flavors result in wines with intense, yet delicate aromas and a structure that supports both long-term aging and immediate enjoyment. As a small winery they provide a very personal tour of the operation and explain how the organic farming works for their vineyards. You will definitely meet the dogs and, if you’re lucky, the sheep as well! If you’re smart you’ll bring a sandwich and enjoy a lovely picnic out the back of the barrel room overlooking the vineyards and the Napa Valley all around you. Their zinfandel was by far our favorite (we enjoyed all their wines), but we also found a playful wine called “Porque No?” (meaning “Why not?”) that was inexpensive and pretty much goes with anything. For Zin-lovers, we think you’ll appreciate what they have to offer; and for those who love good wine, this is a great, small-production place to add to your list. Regusci Wines: a jazz concert of wines. I often refer to wine in 3 categories: the rock concert (huge reds), the jazz concert (full fruit, playful on the palate), and ballet (soft, elegant, balanced). Regusci, for me, falls into the jazz category. Nice flavor, playful and fun to drink, not too complex, and easy on the tongue. 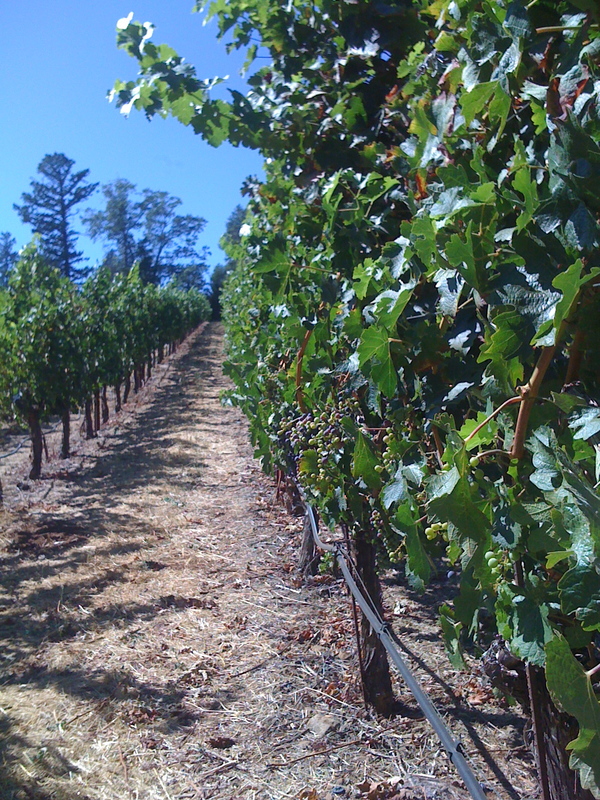 On an historical note, Regusci is a “Ghost Winery”- “Ghost Winery” is the name given to the few remaining early Napa Valley wineries that were in existence between 1860 and 1900. Very few of these Ghost Wineries remain as the vineyards of most Napa Valley wineries were decimated by the phylloxera infestation of the 1890′s. The economic depression of that decade was the final blow for many others. As a result, most of these wineries were abandoned or forced into bankruptcy and then laid dormant through prohibition. As a Stag’s Leap District winery, it is surprising to find wine that is not huge with lots of tannins (they do have one Reserve that will need some aging before drinkability); but rather a nice touch to discover wines that are drinkable but also will age nicely over time. Currently they have a number of wines for you to try: Cabernet Sauvignon, Merlot, Zinfandel, and Chardonnay, and all of this overlooking a beautiful estate. For people looking for wine not too complex and easy on the palate, Regusci is the place to visit. Frog’s Leap- an organic winery with wines that make you leap for joy. 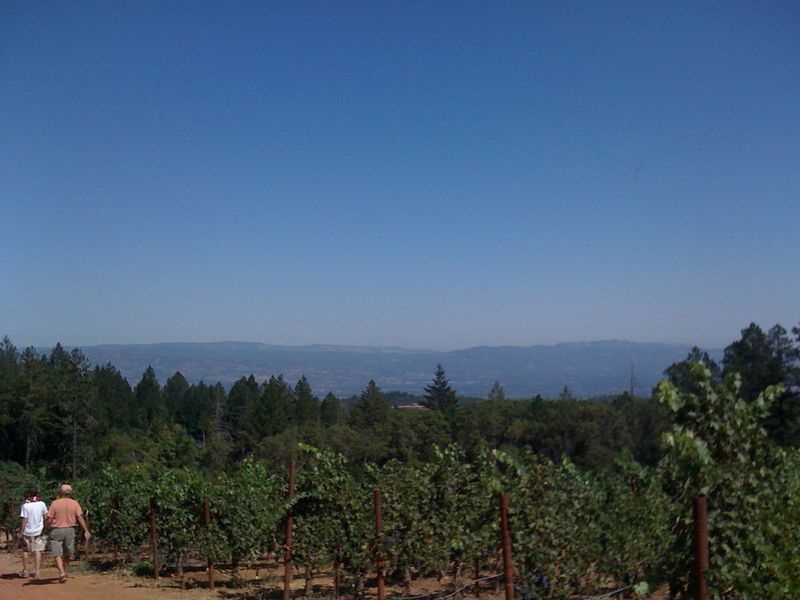 It’s a $15 tasting fee that includes a one-hour tour of the property, and includes a sampling of 4 of their wines. Just walking around the grounds makes for a nice visit as the setting is stunningly beautiful. There is the red barn that is part of the old ghost wineries of Napa Valley, and lots of information about organic farming and winemaking and how they utilize these processes. Most impressive, though, are the wines themselves. I’m not a huge Sauvignon Blanc fan, but I enjoyed theirs. Their Zinfandel, though a bit peppery for me, had a nice round fruit flavor I enjoyed. The Merlot was delicious, and the Cabernet was just beautiful. The day we visited we were treated to a food and wine pairing experience, and that can make all the difference. It is amazing how you can taste the wine, then take a bite of food, and then taste the wine while your chewing/swallowing, and presto! the wine is so much better. The flavors either pop out, or they mellow, or it just becomes a smooth finish with the meal. Unfortunately they don’t provide food and wine pairings so you’ll have to use your imagination when you ask what they would “pair” this with during a meal. 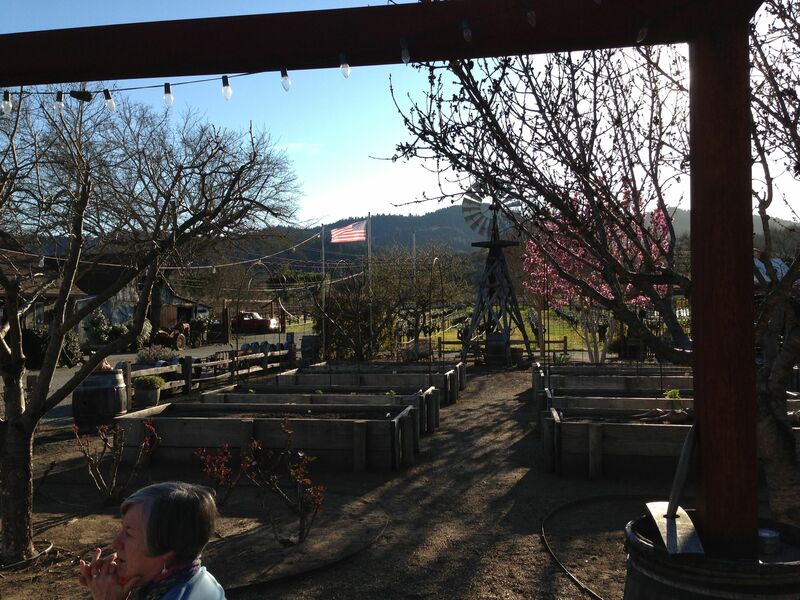 Girard Tasting Room: a surprisingly great find. 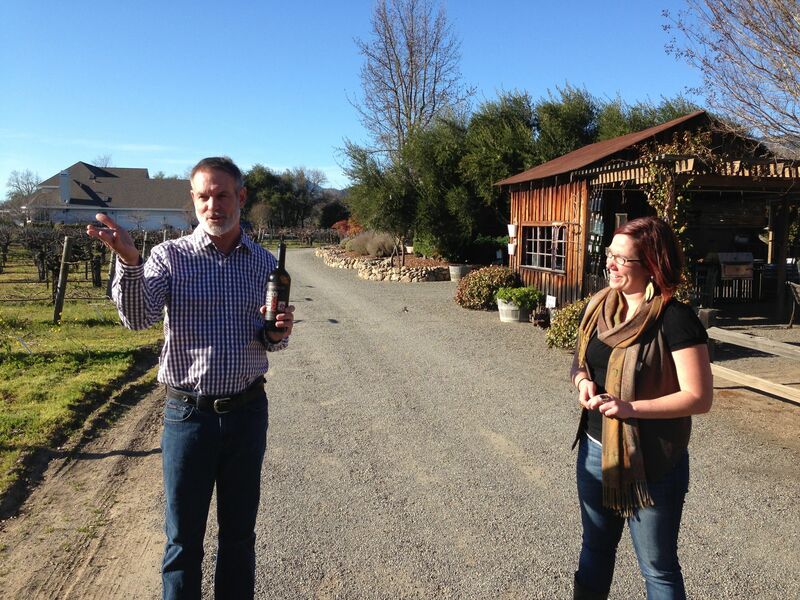 After visiting Jessup Cellars, Grant Long, Sr., encouraged us to try Girard wines at a tasting room right down the street. It was already recommended by a guest, so we were glad to oblige Grant’s request. We were pleasantly surprised to find they stayed open later than most tasting rooms in Yountville; but even more surprised by the nice wines we were privileged to enjoy. I especially enjoyed the Chardonnay (crisp and light fruit) and the Petite Syrah (not too big, and plenty of bite). The Zinfandel was also a nice surprise as it wasn’t overly spicy or jammy as some Zins are made in the Valley. The staff is very helpful and enjoyable, and they even have small tables set up for those who don’t want to stand at the bar. Along the one wall are overview maps of Yountville so that you can see the whole village in its four mile entirety. In the back there is a small room where they can manage small groups of up to 10 people with advance reservations. 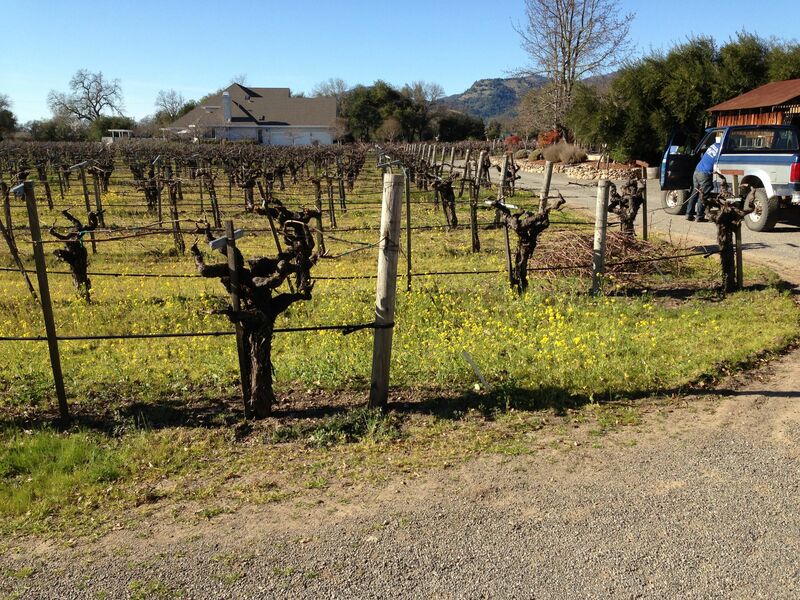 Considering that it is only steps away from Jessup Cellars, and a few blocks away from Hope and Grace, this could be part of a wonderful day spent in Yountville, strolling down the street and enjoying fine wines.